Gabriel Clutch was a thief and a liar but he was right about one thing. He told me he had a great secret in his collection that would shake the literary world to its roots if it ever got out … So begins the delightfully dark Snark, a tumultuous romp through worlds created by Lewis Carroll and here brought to life through the vivid imaginings and fabulous art of award winning author and illustrator David Elliot. 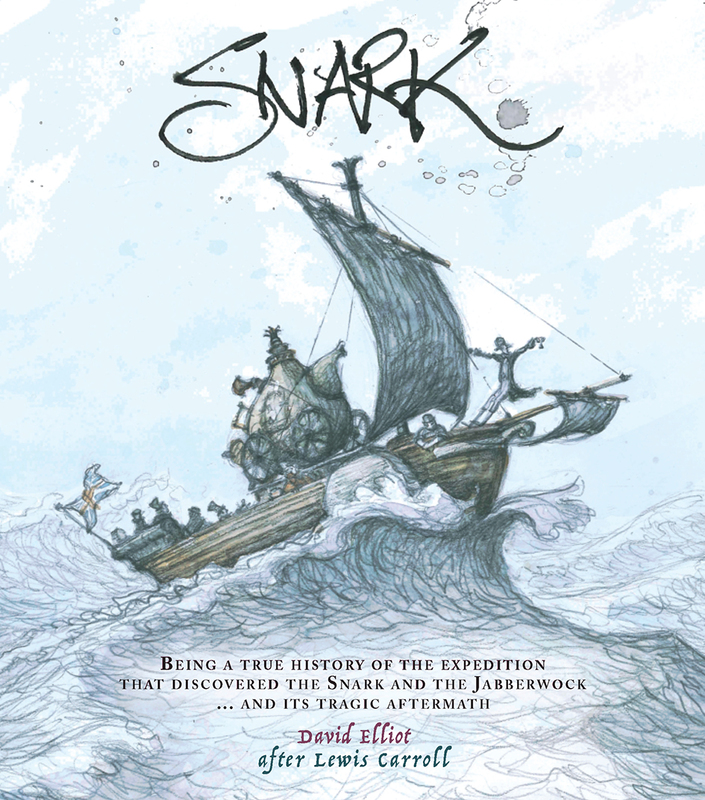 What exactly did happen to the Snark expedition? Did his dagger-proof coat protect the Beaver from the Butcher? What befell the Boots in the Tulgey Wood? Who fell foul of the Jabberwock? The Bandersnatch? The Jub-Jub Bird? And, finally, the big question: what precisely is a SNARK …? David Elliot’s hero, the Boots, here reveals the whole truth for the first time, from his recruitment to the Snark expedition, to his return from a journey of unimaginable, death-defying adventure ... In this charming book for grown-up children of all ages, David Elliot is at his spellbinding and artistic best.